Blair made the comment in an interview with German newspaper Die Welt published on Thursday, saying that British citizens had the right to “rethink the decision,” now that the potential impact of Brexit is clearer than it was prior to the vote in June last year. The former premier said ordinary Labour voters’ problems would not be resolved by Brexit as those circumstances before the vote had changed, warning that the energies of the British government were totally absorbed by Brexit talks at the expense of the health service, and other Labour priorities. 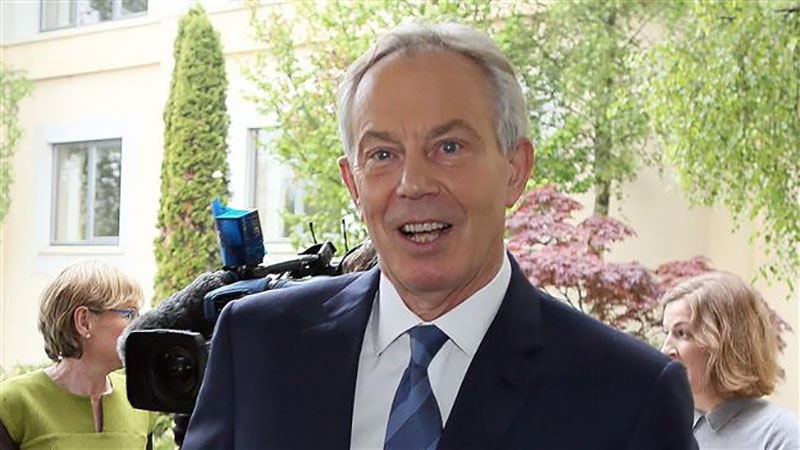 Blair also called on Europe to consider the possibility that London could change its mind about leaving the bloc, expressing alarm about “Brexit fatigue” and a “dangerous fatalism” emerging across the continent. “There is a lack of understanding of how harmful Brexit is for Europe too,” Blair told the German paper, adding that Europeans should negotiate “openly” in case “Britons change their minds” about Brexit. The former prime minister warned that Britain, once outside the European Union, would inevitably seek to justify its departure and encourage other members of the 28-member bloc to follow in its footsteps. “When there are tensions between EU members, [Britain] will behave differently than it did when it was a member. This will not be good for Europe,” he said. At a meeting in Brussels last month, members of the bloc said there has been enough progress on key issues. The next phase will involve discussions over future relations and trade ties between the UK and the EU.